Makeup is empowering, and it's refreshing when you come across a beauty brand that pays respect to that. The Lipstick Lobby, founded by Davida Hall, is a beauty brand based entirely off of social justice and providing women with the means to live their fullest lives. The brand features lip shades made up of cruelty-free, vegan formulas that benefit a good cause. You might recognize the brand from its previous, society-stirring campaigns with nonprofit organizations like Planned Parenthood, The Brady Center (which aims to prevent gun violence), and more. 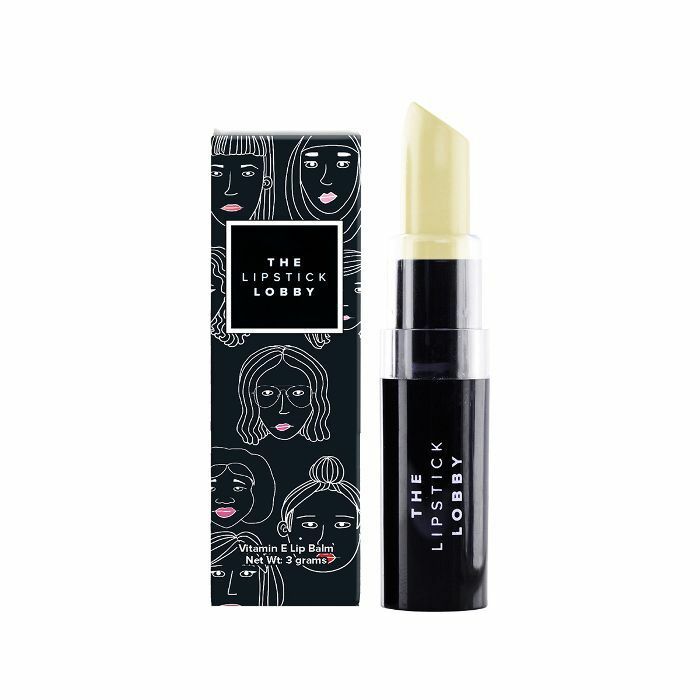 Today, The Lipstick Lobby launched its latest lip product in collaboration with none other than feminist icon Gloria Steinem. Just when you thought the list of Steinem's philanthropic accomplishments, which have made her one of the world's most respected social justice activists, couldn't get longer, it did. Her lip product, a vitamin E–infused lip balm called In the Clear, is dedicated to dismantling stigmas of incarcerated women around the world in collaboration with an organization called the unPrison Project. One hundred percent of this balm's net proceeds go to the unPrison Project, which was founded by Deborah Jiang-Stein. The organization is run by women and aims to help other women behind bars stay abreast of professional skills for life after prison and keep in touch with their families. "As a woman born behind bars, I understand that it is crucial that society understands the deeper issues about the incarceration of women, who are often left out of the conversation about mass incarceration," Jiang-Stein said in a press release. The campaign features breathtaking images of real women who were formerly incarcerated, social reform activists, and Steinem. With efforts to bolster inclusivity, this gender-neutral lip balm is meant for functional purposes. According to Vogue, 84-year-old Steinem's daily beauty routine is simple and straightforward. "I never wear lipstick," Steinem tells Vogue, "but I can support a lip balm." So can we, especially when it uplifts women. Like The Lipstick Lobby, we vote for more women helping women. Take a look at these strong women featured in this campaign who are going above and beyond in the movement. In the Clear Lip Balm is available for purchase today on TheLipstickLobby.com. Up next: Find out exactly what 84-year-old Steinem eats for breakfast every day. It might surprise you.